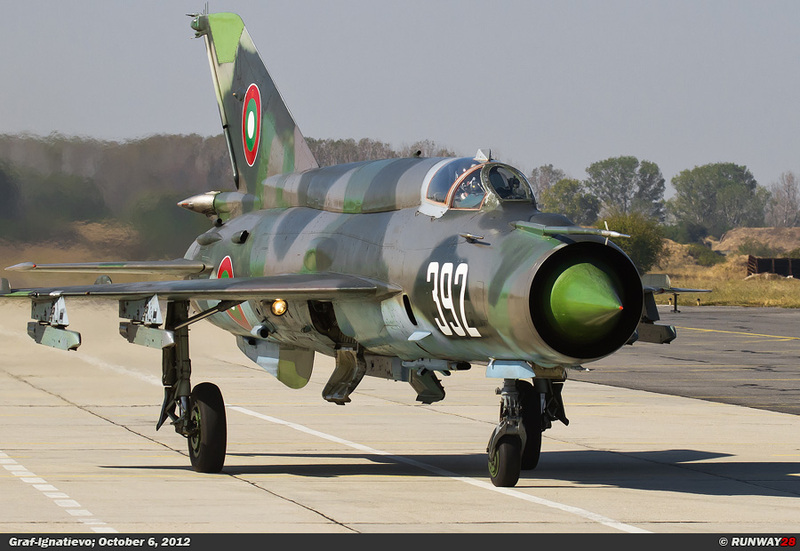 The MiG-21 is without doubt the most successful aircraft ever in use within the Bulgarian Air Force. 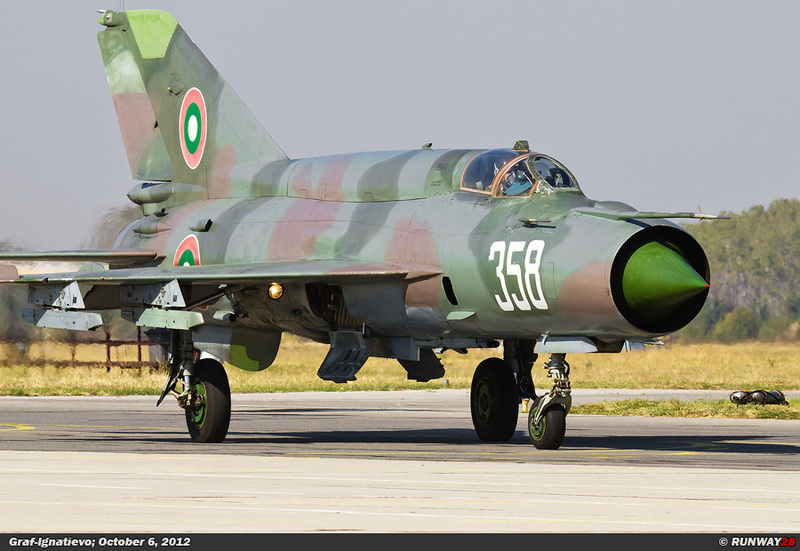 The aircraft has also the longest operational record of all the fighters of the Bulgarian Air Force. 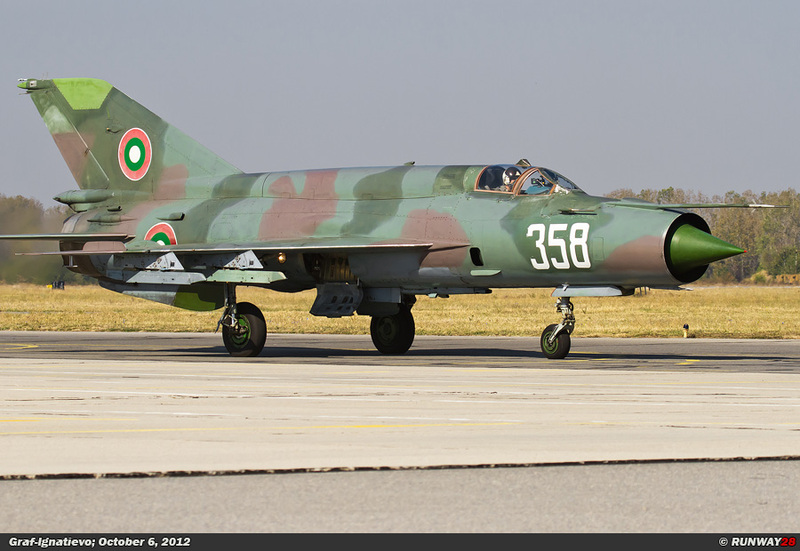 The last Bulgarian MiG-21s will be phased out after 50 years of operational service at the end of the year 2012. 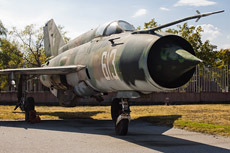 The Mikoyan-Gurevich MiG-21 (Микоян и Гуревич МиГ-21) is a supersonic fighter built in the Soviet Union. The NATO code name for this fighter is Fishbed; the two-seater variants are called Mongol. 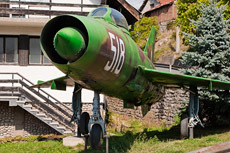 The aircraft received the nickname Balalaika in Russia and in Poland the aircraft was affectionately nicknamed Ołówek (pencil). 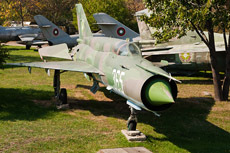 The first version of the MiG-21 was seen as a plane of the second generation. 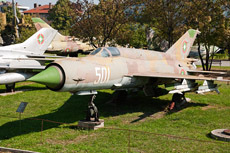 Later variants of the MiG-21 were considered to be third-generation fighter aircraft. 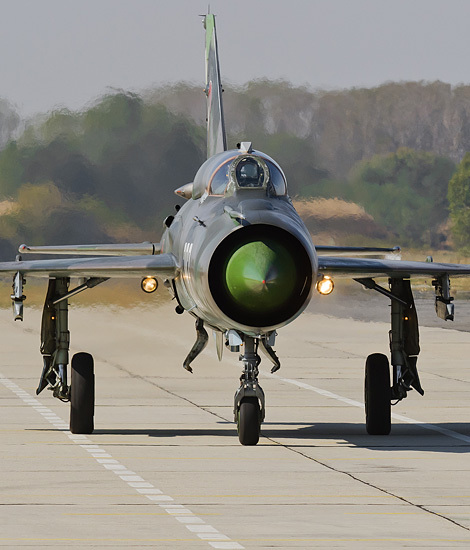 The MiG-21 has served in more than 50 countries. 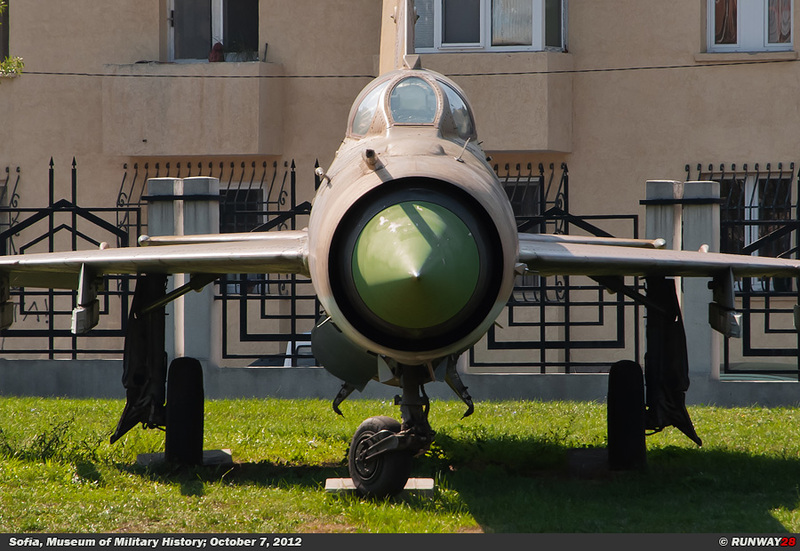 The MiG-21 has a number of records on its name. 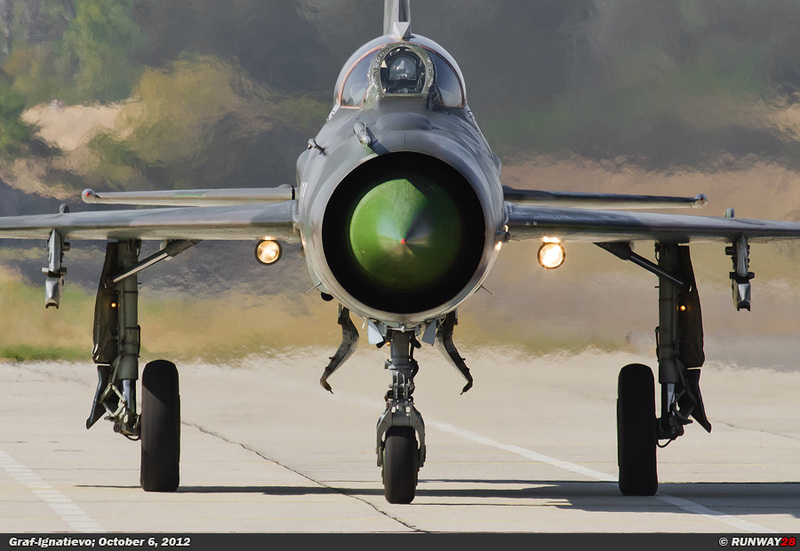 The MiG-21 is the most produced supersonic fighter in the world. 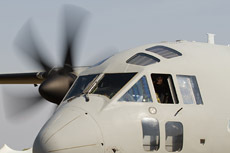 Also, the aircraft had the longest running production in the world from 1959 until 1985. 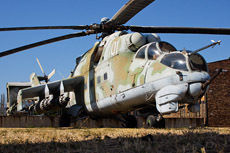 More than 10,000 aircraft of this type were built by Mikoyan-Gurevich. 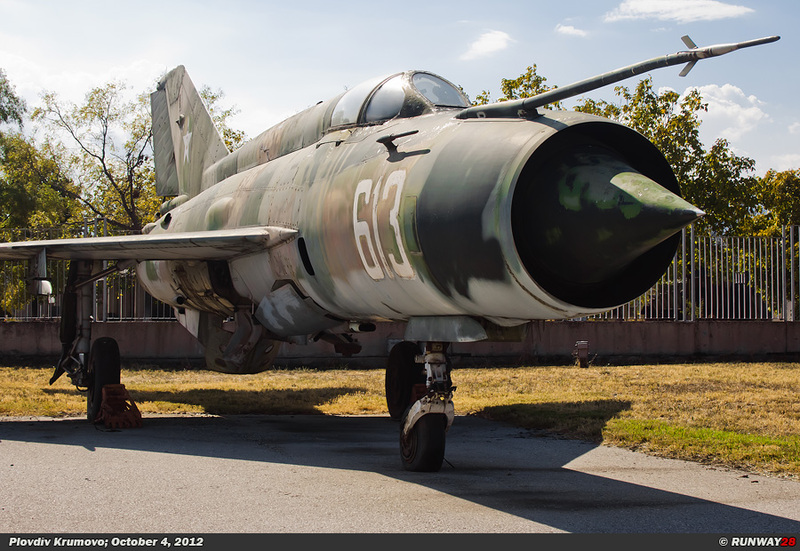 These numbers are exceptional for a modern fighter. 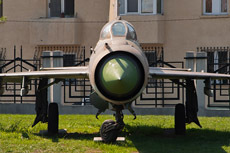 The MiG-21 was the successor to the MiGs from the series MiG-15, MiG-17 and MiG-19. 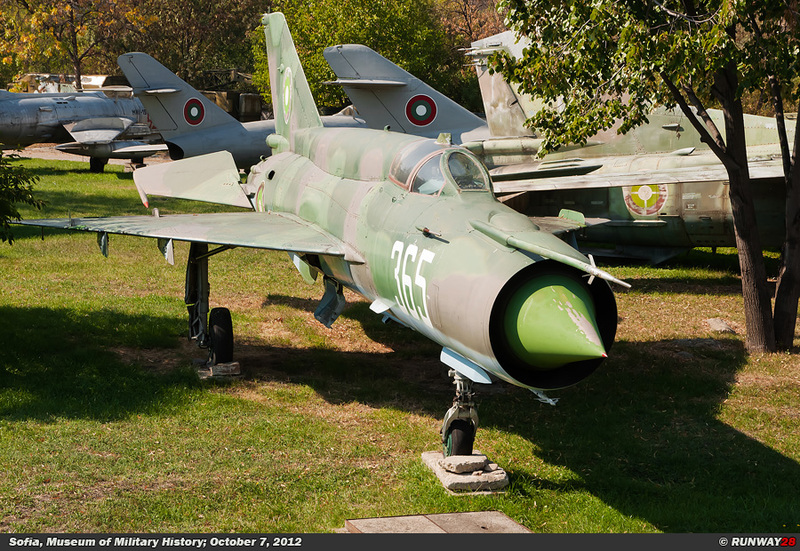 The design of the aircraft which became the MiG-21 was started at the beginning of the 50s. 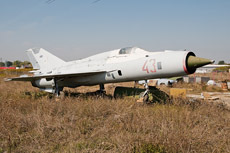 The prototype of the Ye-1 was completed in 1954. 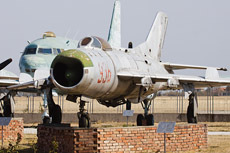 The second prototype, the Ye-2 was equipped with swing wings. 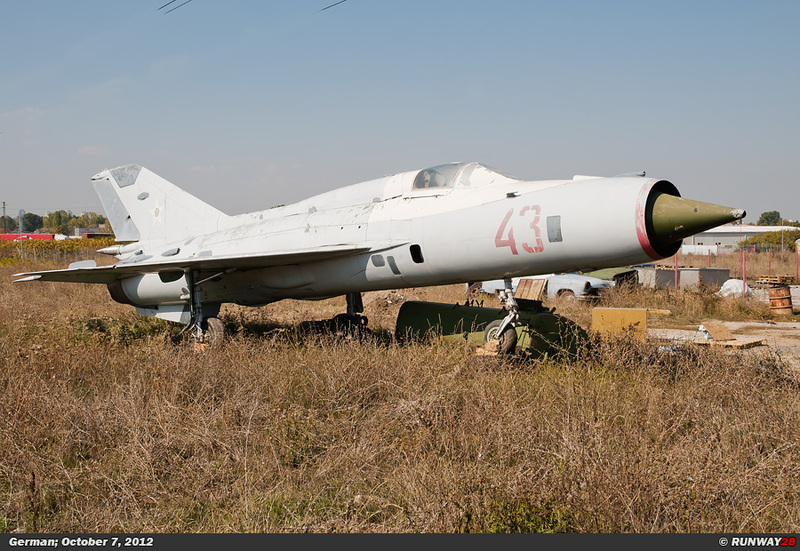 The final draft of the MiG-21 was the Ye-4 which was equipped with the original delta wing configuration. 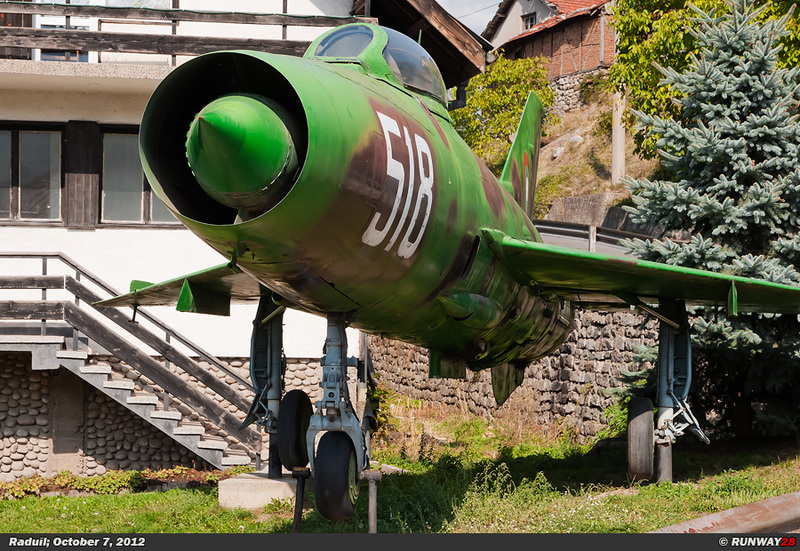 The aircraft made its first flight on June 16, 1955. 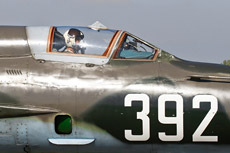 The aircraft was first shown publicly during the Soviet Aviation Day at Tushino Air Base near Moscow in July 1956. 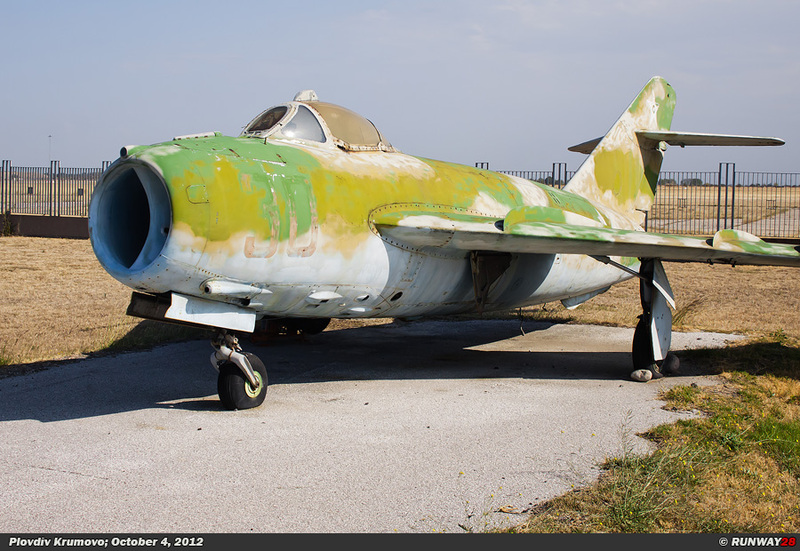 In the West, there was not much information available about the MiG-21. 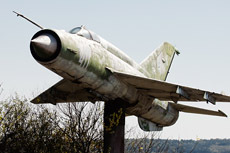 The MiG-21 was in the West initially referred to as the Sukhoi Su-9. 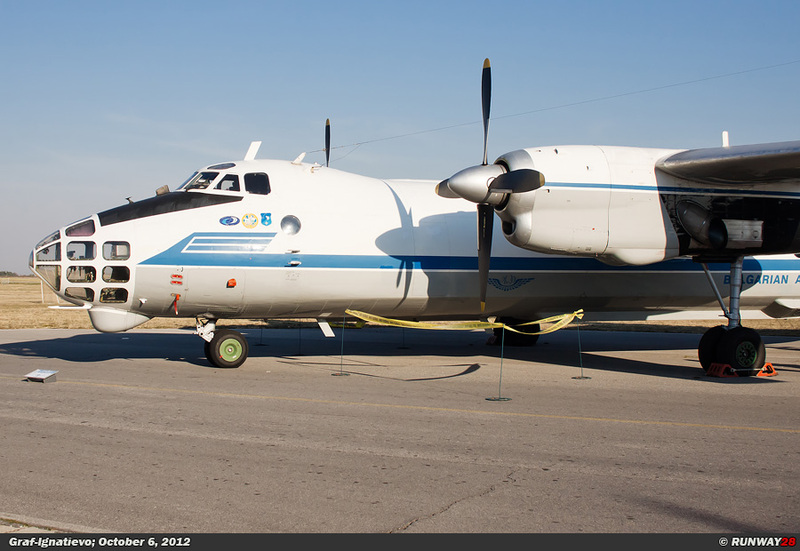 The aircraft was later designated as the Fishbed when it became clear it was a new type. 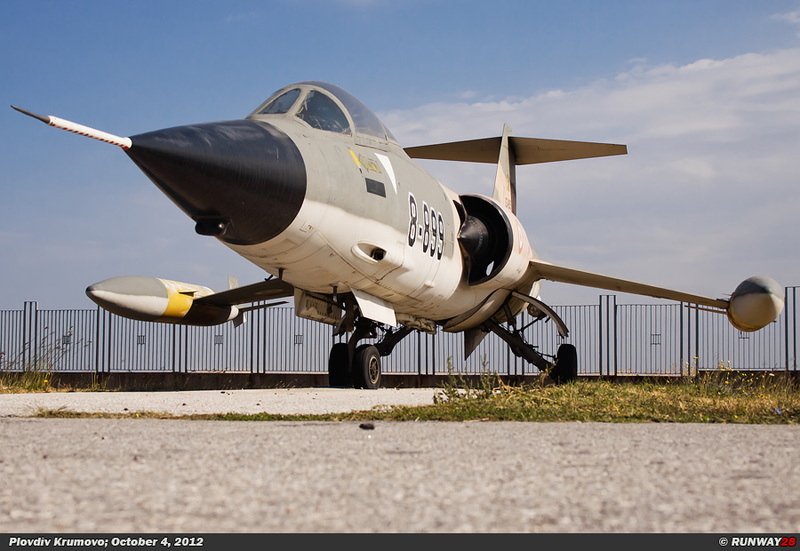 sault Mirage III. 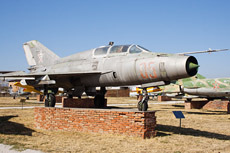 The basic design of the MiG-21 was based on a delta wing structure. 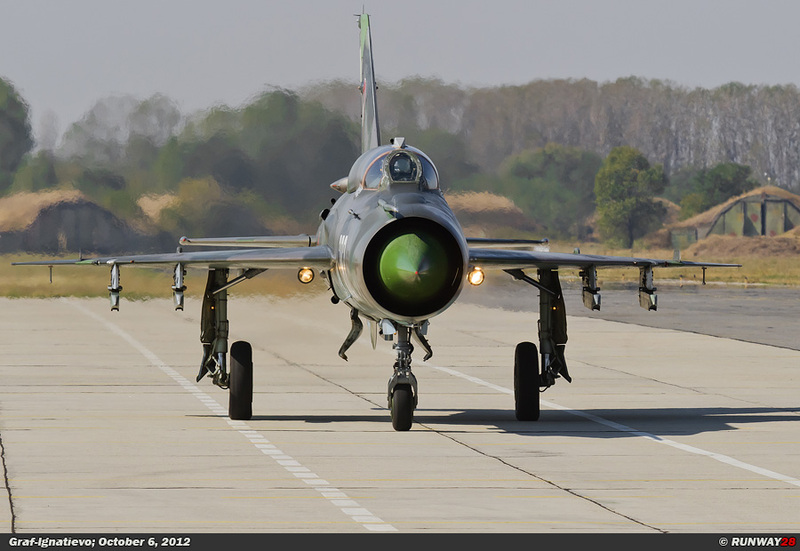 The MiG-21 had small tail wings unlike the French aircraft from that age. The aircraft was built with the shape of a long thin missile with a pilot sitting on top of it; the aircraft had also a hole in the front for inhaling air to the engine. 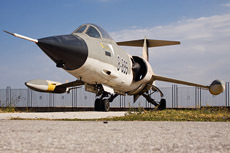 This hole contained also the nose cone which later would carry radar. 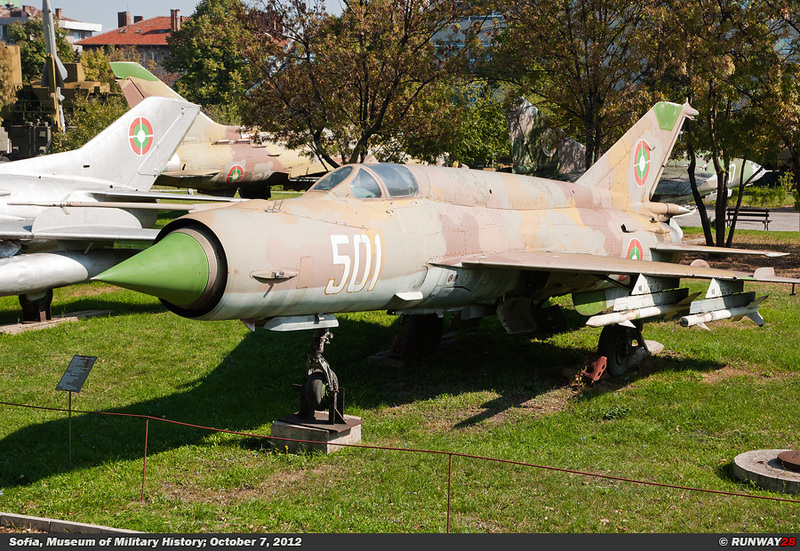 The first MiG-21 variants were operating in the interceptor role besides the Su-7 and later the Su-9. 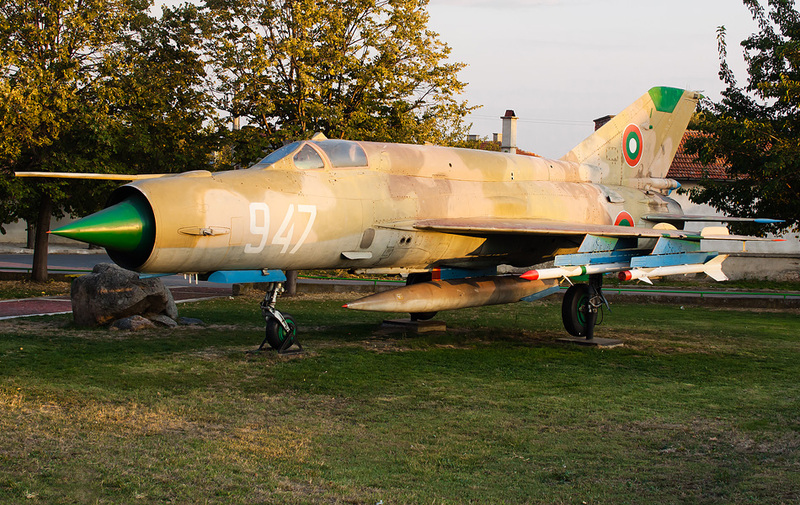 Like many other aircraft, the MiG-21 was built for combat at short distances. 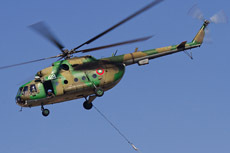 The aircraft was able to stay only 45 minutes in the air. 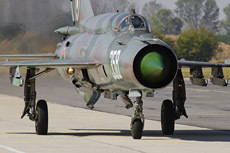 At later versions of the MiG-21, this problem was solved by a much larger fuel capacity. 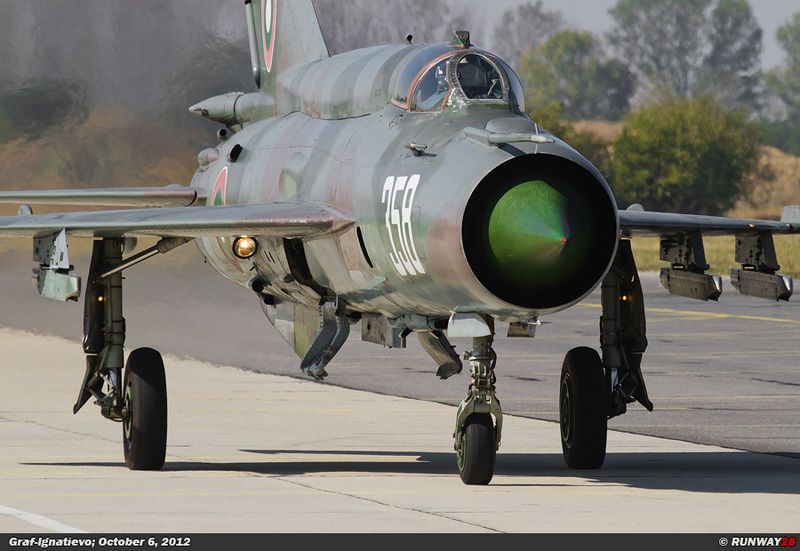 Because of the delta wing structure and a weak engine, the MiG-21 had a huge turning circle in the air. 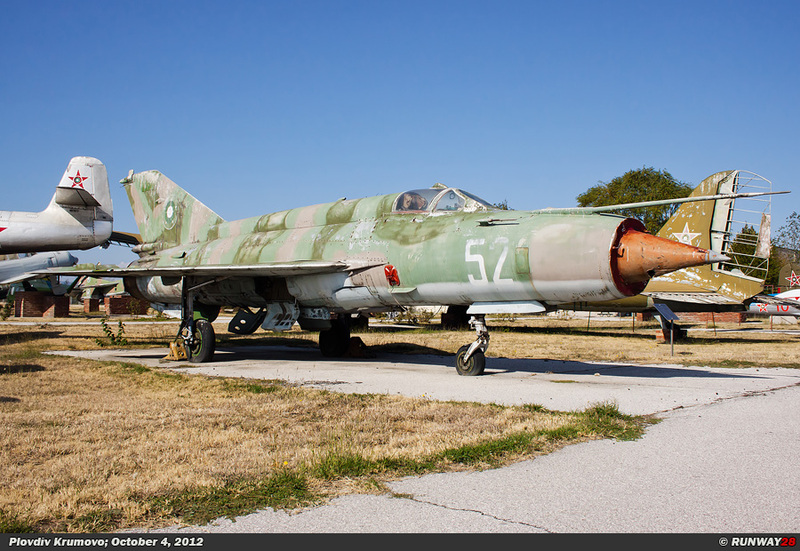 The MiG-21 was therefore in disadvantage as air superiority fighter compared to many American air superiority fighters. 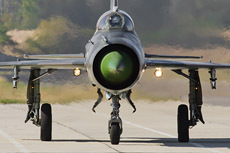 Only from the MiG-29 the Soviet Air Force offered a plane which was superior to the Americans. The Bulgarian Air Force had a total of 7 MiG-21 airbases. 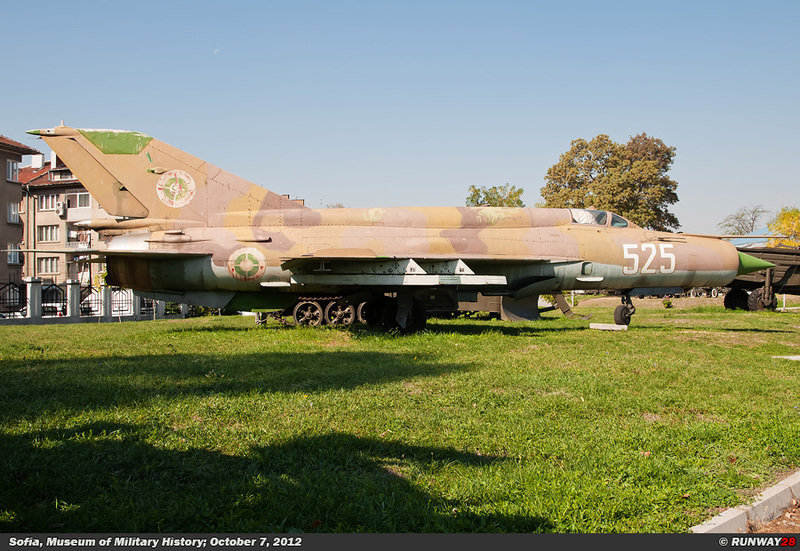 These airfields were; the 1st Fighter Air Base (Dobroslavtsi) (1ва Изтребителна авиобаза Доброславци) at the north of Sofia, the 2nd Fighter Air Base Gabrovnitsa (2ва Изтребителна авиобаза Габровница) at the north of Montana, the 3rd Fighter Air Base (Graf Ignatievo) (3ва Изтребителна авиобаза Граф Игнатиево) at the north of Plovdiv, the 4th Fighter Air Base Uzundzhovo (4ва Изтребителна Авиобаза Узунджово) at the north of Haskovo, the 5th Fighter Air Base Ravnets (5ва Изтребителна Авиобаза Равнец) at the west of Burgas, the 6th Fighter Air Base Balchik (6ва Изтребителна Авиобаза Балчик) at the north of Varna and finally the 26th Reconnaissance Air Base Dobrich (26та Разуз- навателна авиобаза Добрич) at the north of Varna. 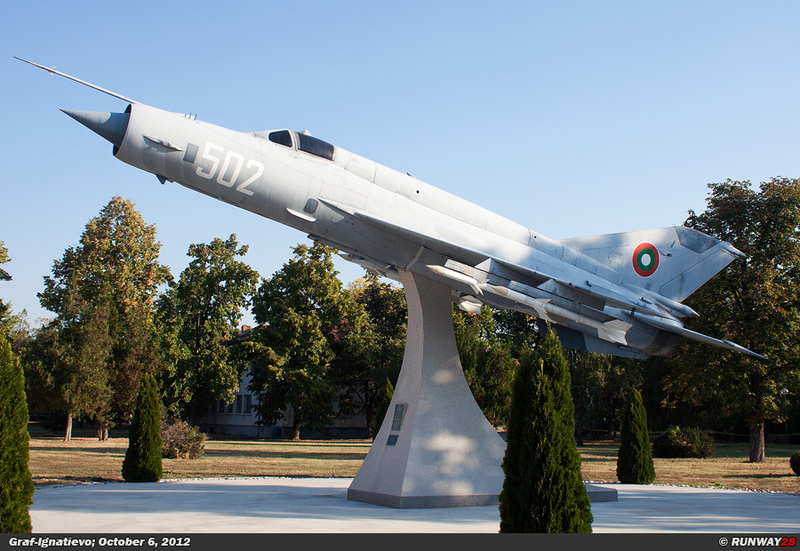 Graf Ignatievo was in 1963 the first Bulgarian airbase which received the MiG-21. 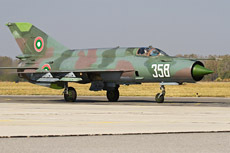 The oldest MiG-21 variant within the Bulgarian Air Force was the MiG-21F-13. 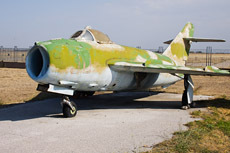 The MiG-21 had replaced the major part of the MiG-15, MiG-17 and MiG-19 fleet within the Bulgarian Air Force. 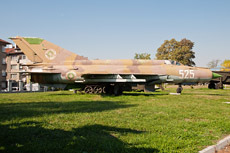 The 2 airbases Dobroslavtsi and Gabrovnitsa flew only a very short period with the MiG-21, because these airfields were converted to the MiG-23 in 1978 and 1982. 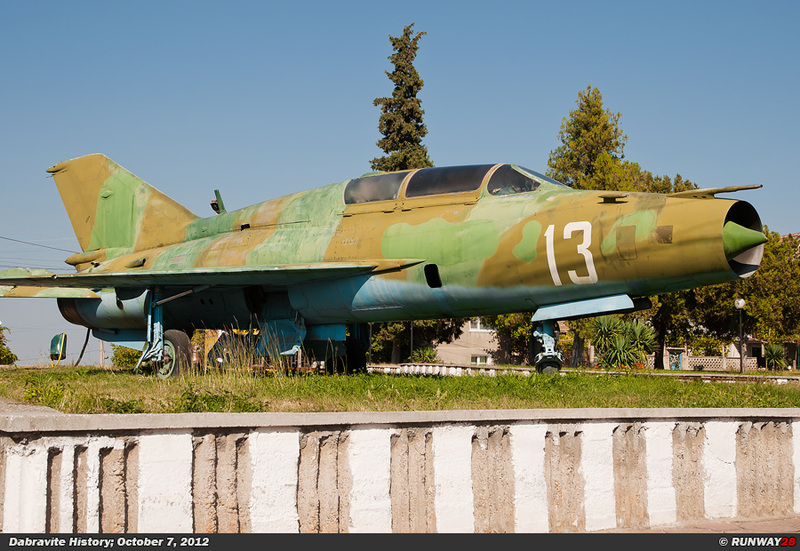 These airfields used from 1964 until the arrival of the MiG-23 the MiG-21PF and MiG-21MF. 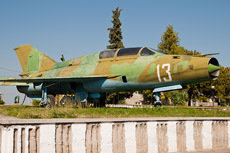 The MiG-21s at these 2 airfields were part of the 1st Fighter Aviation Division. 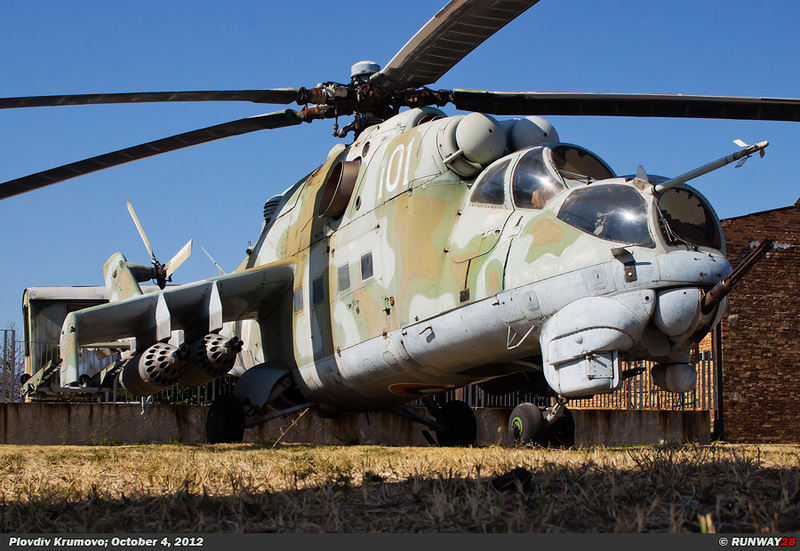 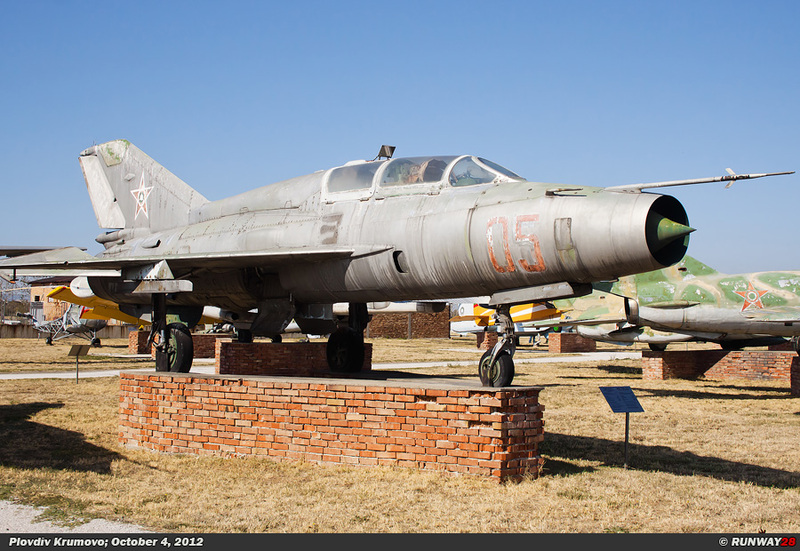 The 2 airfields Graf Ignatievo and Uzundzhovo formed the 2nd Fighter Aviation Division. 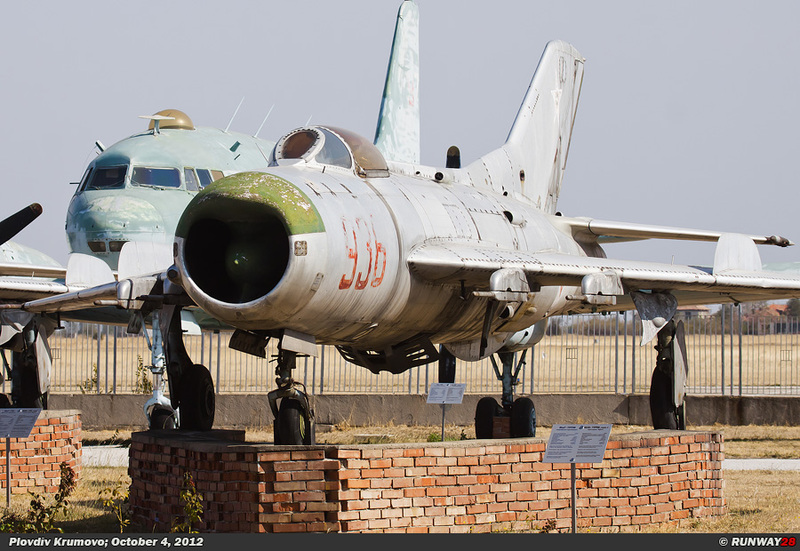 From 1964 until now, these airfields were equipped with the MiG-21F-13, the MiG-21P, the MiG-21PF and MiG-21bis. 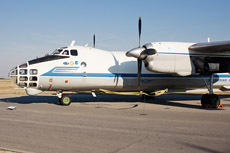 Uzundzhovo was disbanded in 2002 because of budget cuts. 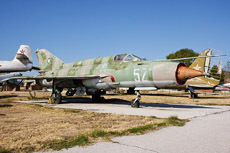 The 3rd Fighter Aviation Division was formed by units of the 2 airfields Ravnets and Balchik. 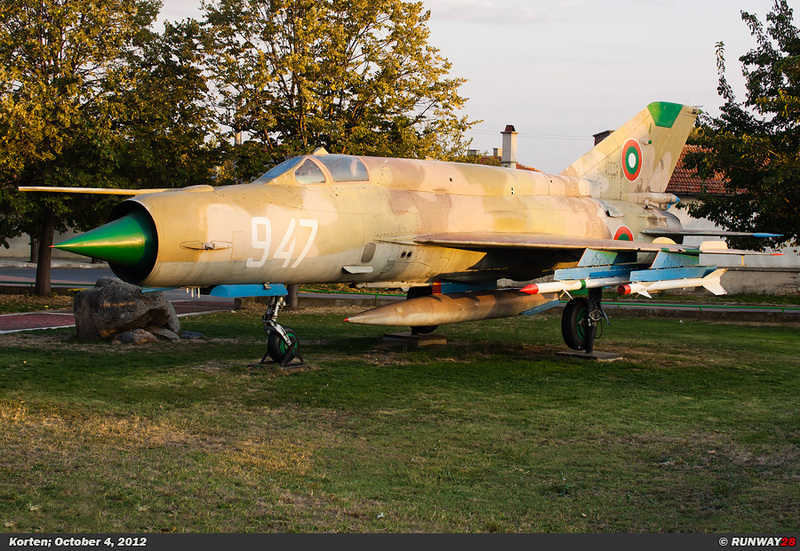 The units at these 2 airfields flew many years with the MiG-21. 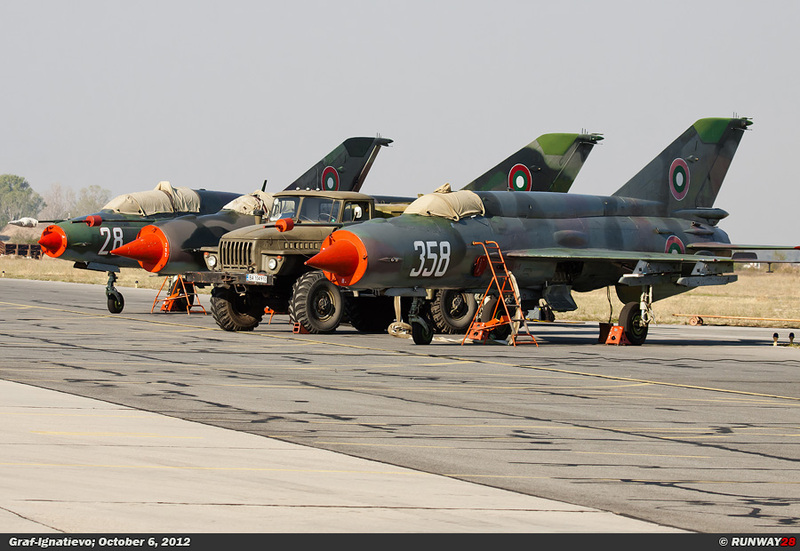 From 1966 until 1998, these airfields were equipped with the MiG-21PF, MiG-21PFM, MiG-21UM and MiG-21bis. 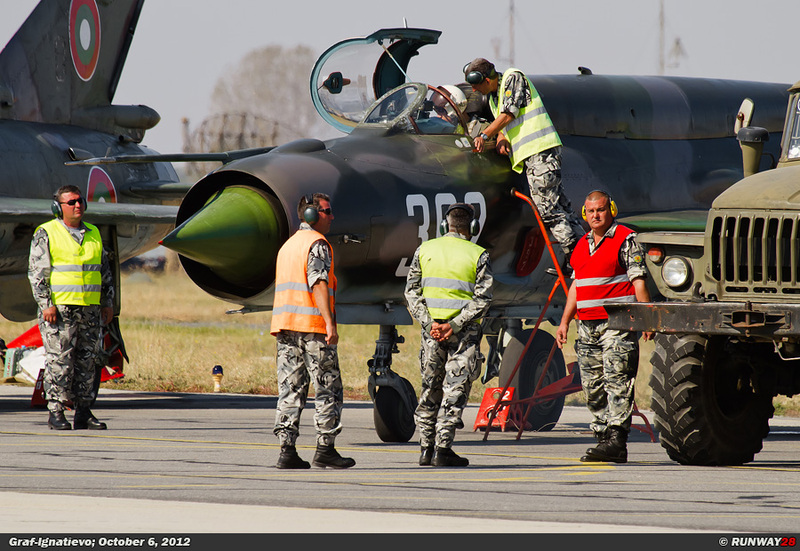 In 1998, both airfields were closed due to drastic cuts which were announced by the Bulgarian Air Force. 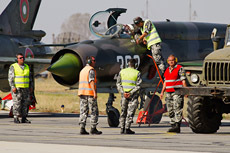 In the period from 1998 until 2002, more than 2/3 of the Bulgarian Air Force was cut. 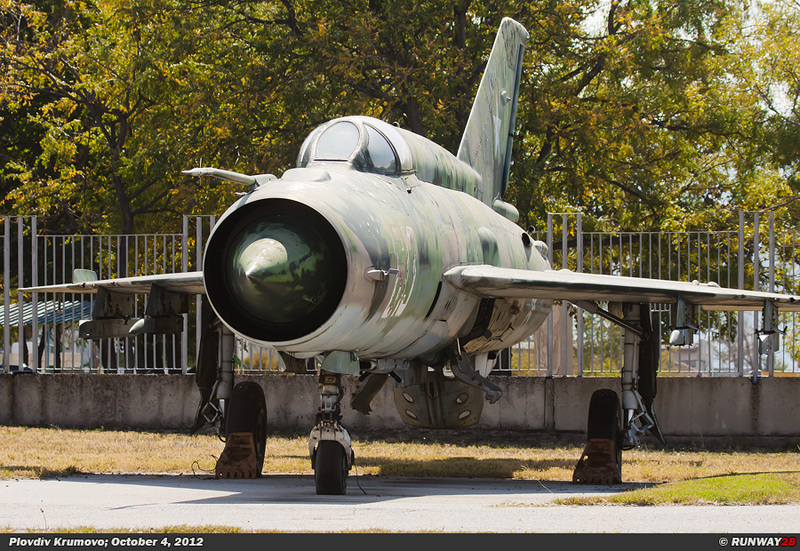 The MiG-21s on the seventh airbase Dobrich had a special function. 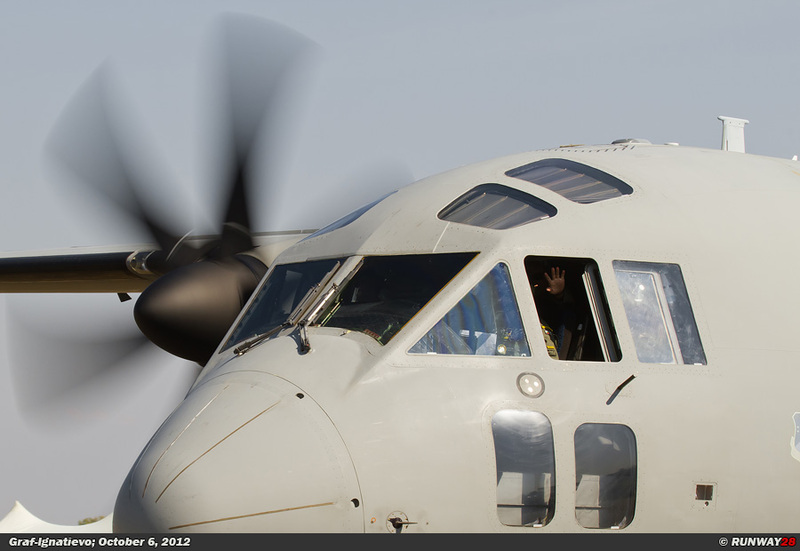 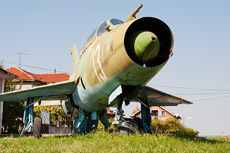 This airbase was specialized in photo reconnaissance. 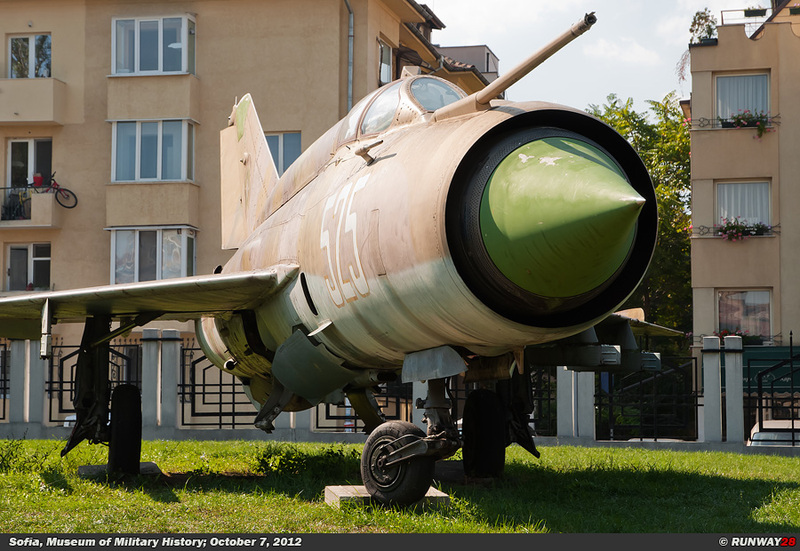 The first MiG-21 arrived in Dobrich in 1966. 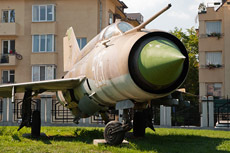 Until 2002, the units at Dobrich used the MiG-2R, the MiG-21F-13, the MiG-21RF-13, the MiG-21MF and MiG-21UM. Graf-Ignatievo is at this moment the only airbase which is still operational with the MiG-21. 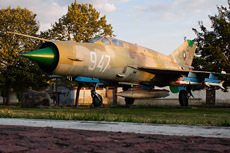 The airbase is equipped with the MiG-21bis and MiG-21UM. 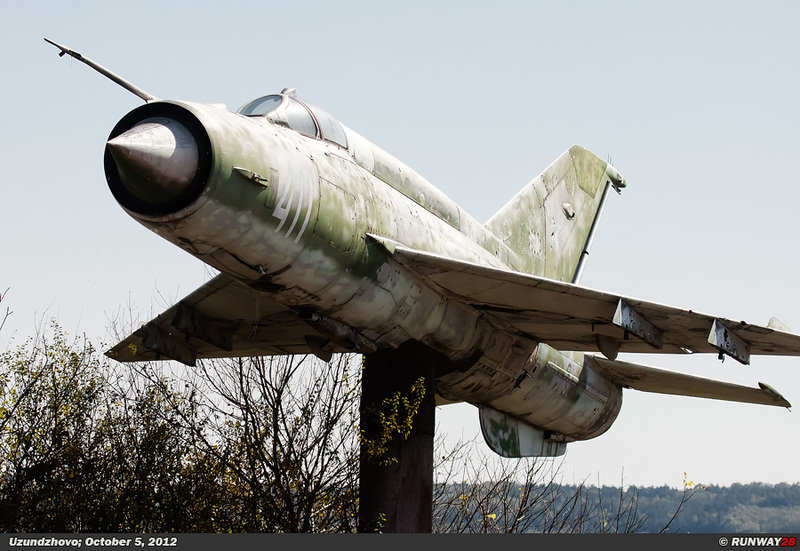 At the end of 2012 the impressive career of the MiG-21 in Bulgaria comes to an end after more than 50 years of operational service. 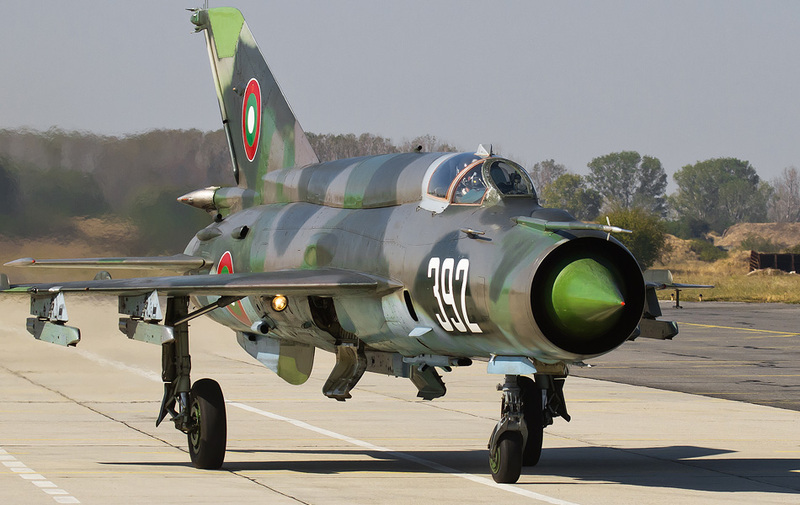 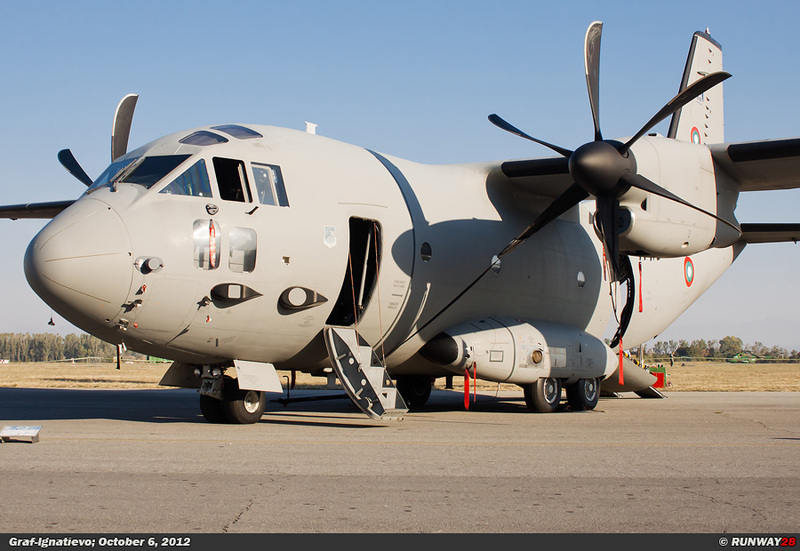 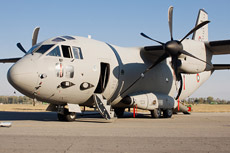 The aircraft will be phased out after it has served during 50 of the 100 years in the existence of the Bulgarian Air Force. In total, the Bulgarian Air Force had in this period 224 MiG-21s in service. 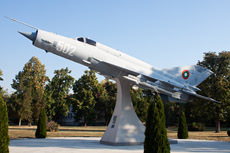 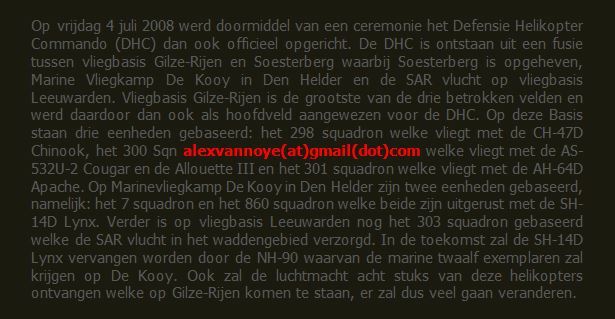 The tasks of the MiG-21 will fully be taken over by the MiG-29 which is also based at Graf Ignatievo. 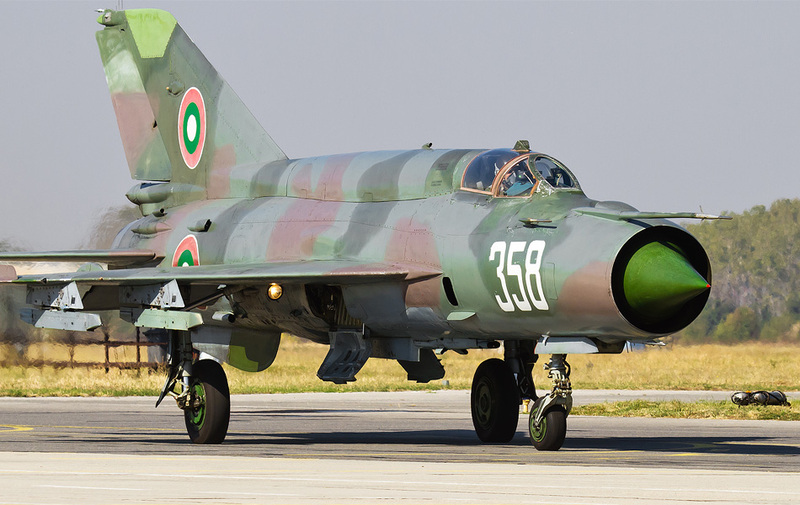 It is still unclear whether the MiG-21 will be followed up by another aircraft type or not within the Bulgarian Air Force.